Some of the country's largest broadband providers are quietly steeling for a fight with the Internet giants of Silicon Valley. A battle is brewing between big tech companies and broadband providers over how to deliver your favorite websites and media to your home. Companies like Google (GOOG) and Netflix rely on Internet service providers to transmit bandwidth-intensive YouTube and Netflix videos without all that annoying buffering and pixelation. But many who have tried to watch "House of Cards" during prime time hours know that poor connections have become a fact of life. Fed up with broadband providers' slow Internet speeds, some Silicon Valley giants are taking matters into their own hands. Google is taking on the Internet service providers at their own game, announcing plans last month to expand its ultra-high-speed Internet network, Google Fiber. 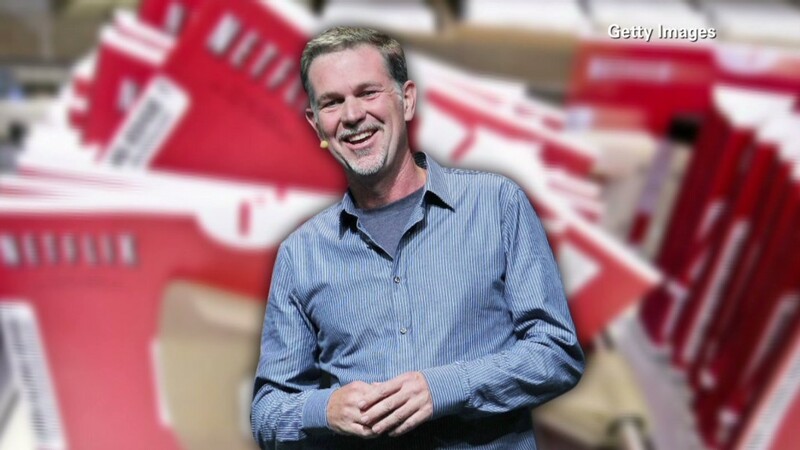 Netflix (NFLX), meanwhile, has invested in its own infrastructure for content delivery and has reluctantly paid for direct connections with ISPs. "Some big ISPs are extracting a toll because they can," Netflix CEO Reed Hastings complained in a blog post last week. "[T]hey effectively control access to millions of consumers and are willing to sacrifice the interests of their own customers to press Netflix and others to pay." Apple (AAPL), for its part, is looking to set up a streaming television service that would "get special treatment on Comcast's (CMCSA) cables to ensure it bypasses congestion on the Web," The Wall Street Journal reported Sunday. Related: Are Netflix users ripping off the rest of us? These developments show that Internet service providers aren't content to be simple pipes for the rapidly expanding online media industry without taking home a bigger piece of the growing pie. Netflix, for instance, is a huge contributor to the congestion on these networks, accounting for around a third of traffic during peak hours. That's why Comcast and others have pushed it to help bear the cost of upgrades. Content companies may end up footing more of the bill for consumption of their services under arrangements like the "sponsored data" program AT&T announced earlier this year for the mobile Web. Under this arrangement, content providers pay AT&T so that the use of their services doesn't count against customers' data caps. Driving this shift for the industry is the recognition that consumers are demanding very different services from the Internet and telecommunications providers than they were in years past. Americans are consuming ever-greater amounts of data online -- especially streaming video -- and the aging cable network infrastructure is ill-equipped to handle the increased load. That's why Internet providers are scrambling to keep up with the demand for data by investing in new infrastructure in the form of fiber-optic lines, a technology made from thin threads of glass or plastic that can carry even more bandwidth than metal cable lines. The problem with fiber networks is that they're hugely expensive to install and maintain, requiring operators to lay new wiring underground and link it to individual homes. Since 1996, cable operators have invested $210 billion in broadband networks and other infrastructure, according to the National Cable and Telecommunications Association. Since there's little competition in the broadband industry, some industry experts believe that there's little incentive for broadband providers to dramatically beef up their bandwidth and drastically improve their infrastructure to adequately provide for online video demands. "These guys are all in harvesting mode -- they've made their investments and they're simply reaping the rewards," said Susan Crawford, a professor at Cardozo Law School. Silicon Valley, which relies on the Internet as a portal to its customers, is unsatisfied. Just as services like Netflix and massive open online courses never would have been possible on dial-up connections, the technology sector's services of the future will demand even greater speeds than we have now. That's why Google is building out its Fiber network, offering speeds of roughly 1000 megabits, or 1 gigabit, per second. Comparatively, the average U.S. connection speed in the third quarter of last year was 9.8 megabits per second, according to research from Akamai Technologies. "Abundant high-speed Internet can provide the foundation for economic growth and educational opportunity, and it's crucial for innovation," said Google Fiber spokesperson Jenna Wandres. "We believe that the next generation of Web applications will be built on gigabit speeds." Google isn't running a charity, of course. Its Fiber program puts pressure on the broadband industry to upgrade, and gives it a hedge against potential moves by ISPs to charge a toll for delivery of its services. Netflix, unsurprisingly, runs faster on Google Fiber than on any other broadband provider, according to the company's speed tracker. It's unlikely that Google will provide the entire country with broadband anytime soon. But as consumer demand for bandwidth-hungry applications grows and congestion continues to result in slower speeds, don't expect Silicon Valley to sit on its hands. Correction: An earlier version of this story incorrectly said Google's Fiber network offered speeds of 1000 megabytes per second. It actually offers speeds of 1000 megabits per second.